Today was our last Sunday in our ward and I can honestly say I am so sad to leave. As I looked around me in Sacrament meeting, I saw all of the people that we have considered family for the last year and a half. As my little nursery kids came in I knew it would be the last time that I saw them and it broke my heart. Needless to say I was teary eyed all through church. We also went to say goodbye to one of our best-friends Michelle and that about killed me. Michelle was my first neighbor and one of my first friends here in Tooele. 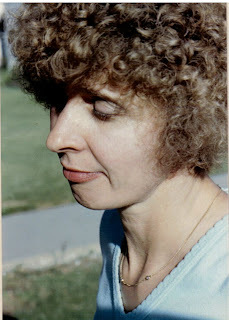 She will never know how much she has done for me and how much my children, husband and I love her. It was a sad day but we survived it. Well, we are only 5 days away from moving and our house is not sold or even under contract. We are scared. We have people watching the house and taking care of the yard but we are scared none-the-less. I decided that the kids and I would leave with Matt after talking with the realtor. She said that the house would probably show better empty and that she was worried about me because of the never ending battle that Ivan and I have over not destroying this house. She keeps telling us not to worry and that the house will sell but it is nearly impossible not to worry. We are excited about the other end of all of this. We are excited about finally getting to AZ where we feel we are supposed to be but it's so hard to leave with loose ends. If anyone is looking for a new home, please tell them about ours. We need all the help we can get at this point. We have a very beautiful home that is great for a growing family, we just need to find that family. Today was a very busy day and for that I am thankful. We were up early to get Claire ready for preschool. She is absolutely loving school this year and she is doing so well in her second year of preschool. Last year we had to take her out half way through the year. I am grateful for that though because it was a bit of a trial run and now she is doing awesome! While she was at school I worked in the yard to make sure it looked as good as possible. We are now in a price market where there is tons of competition. It is not looking good for us and so our house has to stand out. After picking Claire up I went to the doctor for one last time before going to Arizona and then spent the rest of the day in court with a good friend. I am testifying on his behalf in a custody case and he had a small victory today. It was so nice to focus on someone other than us for a little while. I am really starting to get scared about not selling this house. I think we may have to come down in price again. Daily I plead with the Lord that someone will come through who will see the happiness that has filled these walls for the last 3 years and want to make it their own. I am not sure how much longer we can stay sane. It's so funny how you just can't wait to get out of a place and then when it comes right down to it, it is hard as h****. Tonight we had a Barbecue for Matt and his brothers and a few friends so that they could say their goodbyes. Matt has always been very close to his brothers. It was so hard on me to be there. In all honesty I didn't want to go because I don't want to say goodbye. Can't we just say see you soon and then go on as if we are not leaving? I know, I know I am in major denial that this is all happening. The truth is, I am so excited for us to start our lives down there because I know that it is where we are supposed to be but it's just too hard to leave this one behind. Matt's Dad said tonight as we were leaving "well, it's just not a happy time is it." And he was right. It is not a happy time but it is an exciting time as well. Those two emotions don't go well together but they haunt us daily. There are just so many people here that I have become so close with and I hate to leave and know that we won't see them often. Nora has become attached to Vicki, her granny here in Tooele and I know that if we cannot visit often she won't remember who Paul and Vicki are and she already won't remember her Grandma Peggy. We will just have to show her lots of pictures and talk a ton about them. I am determined however to keep close relationships with everyone important in our lives whether it be through the computer, the phone or the mail. It has all just happened so fast. It will be such an adventure for us and for that I am excited. So we had a few people go through the house on Saturday. I had shampooed the carpets and Matt had scrubbed the bathroom, the house looked immaculate. It paid off because we are in the top three of one of the couples that came through. We should know by Monday or Tuesday whether they want to come back through or whether they want to make an offer. So everyone cross your fingers! This week has been so hard for our little family despite the renewal of hope that we experienced over the weekend. Yesterday we lowered the price of our home again in hopes that we can get it under contract before the end of the next two weeks. If this happens then we can all go down to AZ together. The children are having a very hard time, especially Ivan. He is acting out in so many ways and I just don't know how to make things better for him. It is so hard to clean this house daily because I clean it not once, not twice but at least three times before the end of the day. I do this in order to keep it under control on the off chance that the realtor will call and say that someone wants to go through. I told myself that I was not going to do this and that I was only going to worry about it when I actually got the call but all too often people have wanted to go through last minute. I did get a call today though saying that someone, a realtor in fact, wants to go through tomorrow from 9am-10am. Instead of being very happy about this, I am a nervous wreck. I want everything to look perfect but there is just no way when you have 4 small children in the house all day. I spent the entire evening cleaning up the house and folding 5 loads of laundry to make sure that it looks the best that it can. The hardest part is that Ivan will get up at 5 am tomorrow and undo half of what I did tonight. So I have set my alarm to try to get up at the same time he does in order to play damage control. Our realtor here has been such a blessing to us. She takes care of us in so many ways. She brought by new fliers tonight and they are all in color. She also brought us an in house display of the listing complete with her card and it looks very nice. Her awesome husband who has been helping out a lot as well gave me encouraging words when they came, saying that we were going to get tons of activity this next week. There are several houses that are basically the same floor plan as ours that came on the market this week and we priced ourselves $100 cheaper than those. You would be surprised how much $100 makes in realty. It's not the actual price, it's just the way it looks on paper. Apparently it's a psychological thing. I am praying literally all day that things will be okay which in all actuality I know they will but it's still so scary. Whether Matt and I go together or weeks apart, I have people here that will help me and friends and family that I absolutely love close by. The kids and I will be taken care of. It did not calm my fears any when I went to my friends house tonight who is leaving a month earlier than we are and the moving company that is moving both our families was there. It was all very unorganized and they even tried to tell her that some of their stuff had to stay because it would not fit in the truck. I was so proud of her when she told them "tough" and that it all had to go. I just don't want to have to be dealing with all of that with my husband gone, especially because these movers did not speak English but Spanish ( I think ) and my husband is the one who is fluent in Spanish, not me. From what my friend told me it would be best if we had everything possible packed up before they came so that it would all be accounted for. Especially our dishes because they came without any bubble wrap, merely boxes and tape. Well, that is something I can do for myself. It is all so overwhelming but I just feel like if we can get down there as a family things will be okay. I am even looking forward to being in a hotel for a month because it will be a long-term hotel stay at a residence type inn. I just feel like that will give the kids and I some down time where we can spend our afternoons at the pool and just unwind. I would like to get Claire into a preschool in AZ as soon as possible but if I have to home school her for a while until we know exactly where we are going, I will just make sure that I am prepared for that. I know that the Lord is taking care of us because we have seen some real miracles in all of this. It is just hard to be going through it. One of the hardest things for me is knowing that if we all go down this month, the kids and I will not be able to say goodbye to my parents in person. They are at their cabin in Idaho and won't be home until the second week in October. That hurts because my kids are so close to my parents and Claire has already expressed concern about not seeing Grandma Jann. I guess I will just have to plan a trip back as soon as there is a break in School. We do have some great friends from across the world that are planning on coming for Christmas in AZ if at all possible. It is amazing the friends that you find in your lives that quickly become your family. I am going to have the hardest time leaving my friends here but I know that we will keep in touch because they have all been there through some of the hardest times in my life. I imagine the next few weeks will be full of a lot of tears. This is the last family picture that was taken of us at Ivan's birthday party. It may be the last picture of us all together before we get to the new home. We will try to get another one in front of this home that has been the place that has brought us so much happiness but if not, at least we will all end up together in the end. A Miracle or At Least New Hope! 13 children there today and they were all wound up. When it was time for sacrament meeting I was convinced that we would have to leave early like usual because Ivan was being his normal evil Sunday self. As the meeting started the kids began to settle in and so did the spirit. It was fast and testimony meeting and after the opening hymn it was obvious to me that I needed to bare my testimony. That is something that is very hard for me. I stood to bare my testimony of the power of fasting and praying. I testified that the Lord has listened to our prayers and although Matt would have to leave us early, the Lord would continue to lead us in this new adventure in our lives. After sitting down, I cried for the rest of the meeting. I was crying partly because the spirit was very strong but mostly because I am very sad that Matt will be leaving and we can't go with him. Well, we actually made it to the end of the meeting with Matt out in the foyer restraining Ivan and Nora asleep in my arms. The closing hym started and I knew that the Lord was sending me some comfort. As the song started, I could not even sing because I was crying too hard. The hymn was "How Firm A Foundation." The words of the last verse let me know that the Lord would not leave me comfortless as my husband left us here. Although I am still nervous for my husband to leave I know now that fear is a feeling that is not sent from God. It may be natural but I do not have to fear. The Lord will strengthen me and my children while my husband is away. This is an opportunity that I have to find out just how strong I can be. It is something that I will do for my husband, my children and myself. After feeling all of this, there is hope from several sources and perhaps even a miracle. Tonight as we were coming home from Matt's dad's house at 8:30pm our realtor called. She asked where we were and if we were home. I told her we were just walking in the door. Her exact words were "get out. Don't do a thing but someone wants to come through the house." Of course the house was a mess as it always is on Sunday but she insisted that it would be okay because this particular buyer was only interested in the structure of the house. I insisted on having 10 minutes to tidy up and then ran through the house like a mad woman screaming at Matt to get the kids back in the car. She would not tell me who was coming through but she said that it was important that we let them come tonight. She said she would call us when they were through. She was the one bringing them through the house. An hour later we got a call. She said that it is a big possibility. She told me who it was but swore me to secracy. It will take the people a day or so to decide and she said try not to get our hopes up but that it may be happening. If this goes through, it would truly be a miracle. To me it was a small miracle that they wanted to go through today as we had been fasting and praying so hard about this very thing. As I talked with Sandra (our realtor) she told me that she had no doubt that our house would sell because she said I have so much faith. I thought that was funny because I have never thought of myself as a person of great faith. I am just doing my best to follow the spirit on this one. All I know is that today was a learning experience for me. I was reminded that the Lord hears and answers our prayers. I have an appreciation for fasting that I never had before. And even if we don't get an offer from this particular buyer, it was a miracle to me. So we got the news last Friday that Matt is expected to be starting work on October first in Arizona. This means that he is leaving on the 26th of September to get down there and get settled. 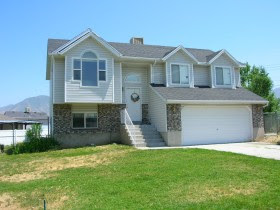 This is scarry for us because our house is not under contract and so for now the plan is for the kids and I to stay here in Tooele and wait for the house to sell. Matt is not too excited about going down alone either. We were planning on going as a family and taking this big leap together. All in all we really are taking it together, just staggering it all a bit. We are fasting on Sunday that our house will go under contract soon and that we will be able to close in time for all of us to go together. If not then it will all work out regardless. It is all happening so fast but it will be okay. We are just glad to be going through this together. Both Matt and I agree that if we have to be going through this, we are glad that we are not going through it with anyone else than each other. It is bringing us all closer. While we can tell that the ongoing stress has been so hard on the children, we have high hopes that once we are there and things settle down a bit, they will adjust well. So for those of you that we have not been able to see before now or will not be able to see before we go, we love you and will miss you. Our phone number will be the same so please stay in touch. Well, while most people spent their Labor Days relaxing and playing with their families, Matt and I were in a frenzy of cleaning so that we could show our house. After 2 weeks of nothing, we had two showings yesterday. The first one wants to write up an offer on the house but they want us to pay 6%! (3% for a downpayment and 3% for closing costs) I wish that we could afford to do that just so the madness will end and we won't have to show the house anymore. We told them they could write it up at 3% and we could accept but we havn't heard anything from our realtor yet. It would be so nice if this would work out so I could stop killing myself. This will be the hardest part of the actual physical move for me because I have movers coming to pack and move our things. I will just be glad when this part of it is over with. This last Sunday, Claire and I decided to make Peanutbutter Popcorn. This is a treat that our good friend Michelle taught us how to make and we have been loving it ever since. Claire was amazed that you could make popcorn on the stove. She was so funny that I decided we had to take pictures. She would bring her stool up to the stove but as soon as the popcorn started poping she would jump down and back her stool up as fast as she could. When it came time to put the peanutbutter and almond bark on the popcorn, she was HANDS and MOUTH on. It was fun for us to do together, we don't often get to spend time alone.